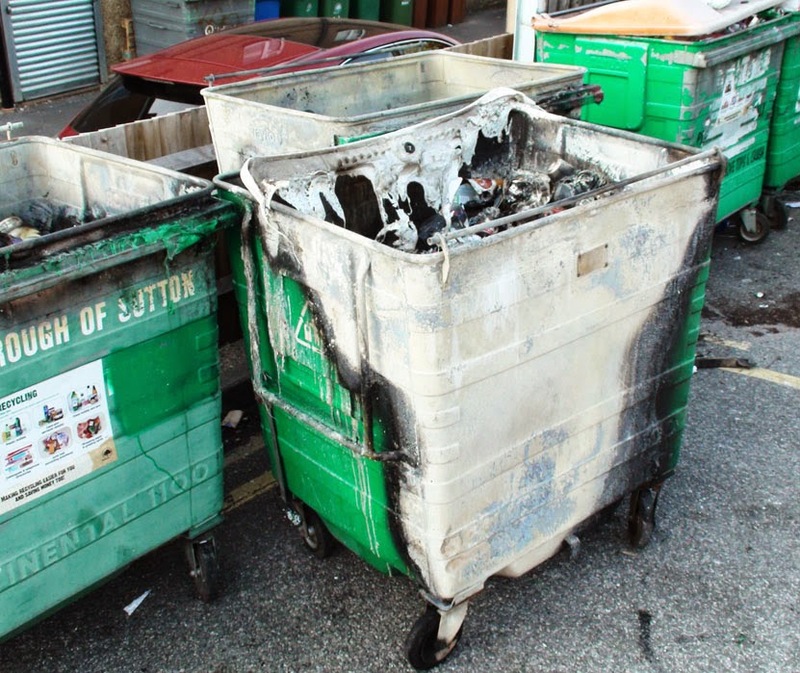 Several dumpsters in the library car park were set alight last night. 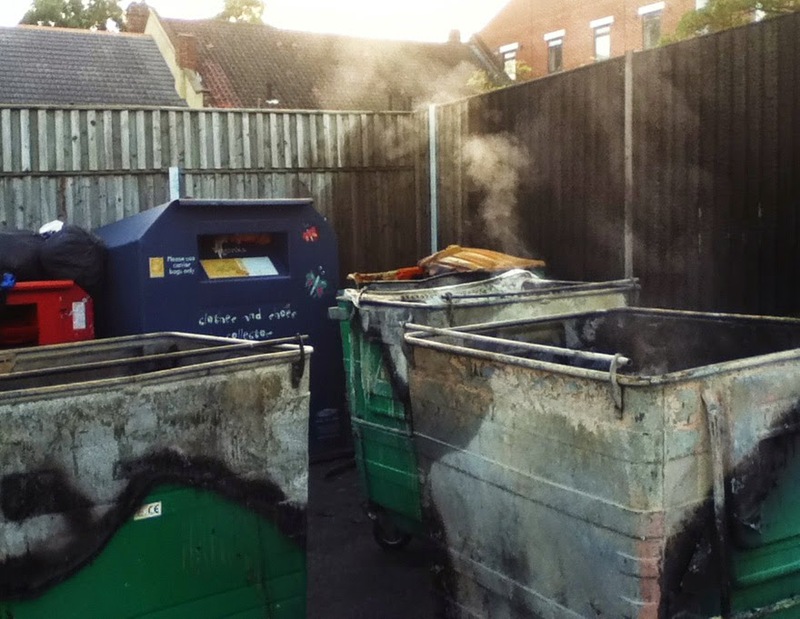 Apparently the bins were 'well alight' when firefighters arrived from New Malden at about 1.30am. According to one blog reader, smoke was still rising from the scene at 6am this morning (thanks to another blog reader for the smoking picture - left) and there was still an acrid smell there this afternoon when I took these other pictures. There seems to have been a spate of arson attacks in the same area over the last few weeks. 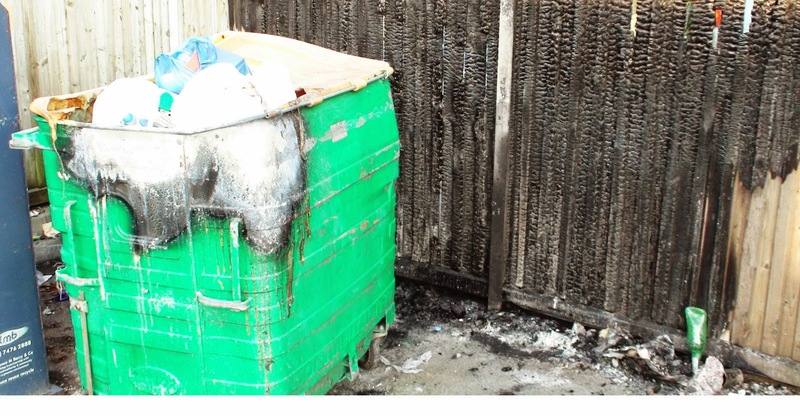 According to another blog reader, a moterbike engine was set alight only metres from this point a few weeks ago which caused an explosion at 3am and caused a small fire which was put out by local residents. Shortly after this a wheely bin was apparently set alight, also very close by. Please be vigilant and contact the police if you are aware of anyone who might be doing this. Next time it could by the library or someone's business or home, killing people in the process. These might be the sort of people who will not stop until they're caught so if you can help, please ensure they are caught quickly before something much worse happens. You can contact the police on 101 or on 0800 555 111 if you wish to remain anonymous. Always call 999 if it is an emergency or a crime is in the midst of happening.